Import and manage orders, inventory & price updates with the KartRocket integration for Linnworks. 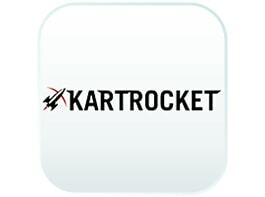 KartRocket is a power packed DIY eCommerce platform, tailored for Indian SMEs. The integration of a KartRocket Channel needs the Website Path, API Key, Default Country. After entering registered email, click Let’s Go! When you have logged in, the Dashboard is displayed. Select View Store and Stock Open. Select store link from browser and enter into Website Path. Navigate from the Dashboard to Settings, then Web API and click Enable API. This is the region or country for the Kartrocket channel you are integrating, eg. UK, Italy, Brazil. By default India selected. 3)	Locate the KartRocket entry, and click the Configuration button. 6)	The Test button allows you to confirm there are no errors preventing Linnworks and KartRocket communicating. Contact EBG Support if Test Reports any errors. 4)	In the Inventory section, the first entry is Update Inventory. If this is disabled, then Linnworks will not tell the listings on the KartRocket marketplace when Available Stock Levels change in Linnworks. If enabled, then Linnworks will provide these updates. 7)	Max Listed allows you to filter the highest quantity that Linnworks can/will send to the listings on KartRocket. If Max Listed is set to 50, and your Available Stock moves from 30 to 60, Linnworks can only send 50, and this will not change until the Available Stock level drops below 50. 4)	In the Listings section, the information reflects the information Linnworks currently has about your listed items on the KartRocket marketplace. This section reflects activities affecting the Linnworks Order Sync on your KartRocket channel integration. Linnworks downloads orders from KartRocket with the status Shipping in Progress. Dispatch Notes, when enabled, allows Linnworks to send information about orders that have been Processed in Linnworks. Orders that are Processed in Linnworks are updated to the status Manifested on KartRocket. The Order Sync Date reflects the date and time of the last successful order download and update for the KartRocket channel integration. These settings are used to enable Linnworks and your KartRocket account to connect, and are covered in Step 1. Click Save at the bottom of this window to apply any changes. 6)	The first option is the Order Download location. This is initially Default, but can be changed. Click on the drop-down list and select which inventory/fulfillment location will initially receive the orders from the KartRocket integration. 7)	Under Inventory Sync Locations, you control which Linnworks Inventory locations are used to calculate the Available Stock values for your KartRocket listings. Linnworks uses the Mapping Tool to ensure that it knows which SKUs in its inventory are connected to which listings on KartRocket. As such, you should ensure that all of your listings are mapped correctly, or stock levels and prices will not update correctly, and orders may not be picked accurately. 3)	Locate the KartRocket entry, and click the Mapping button. This screen is divided into two sections. On the left are the listings Linnworks is aware of on your KartRocket Channel. If this is not correct, or a change is missing, you should see the Download Listings button in the Listings section of the Channel Configuration. On the right is a Linnworks Inventory Search Tool. Each has its own Search box. On the left is the listing Linnworks is aware of on your KartRocket Channel. If this is not correct, or a change is missing, you should see the Download Listings button in the Listings section of the Channel Configuration. 4)	Use Search to locate the Inventory item that requires a Price Change on KartRocket. 8)	Enter the Source as KartRocket. 9)	Enter the SubSource as the name of the KartRocket channel. 3)	Locate the KartRocket entry, and click the Payment Method button. 5)	When mapped, Linnworks will ensure the orders it downloads from KartRocket reflect correctly which payment methods/providers have been used on the site. 1. Select the Channel Payment Method value, and select one of the Payment Methods from KartRocket that show in the drop-down list. 4. Repeat this for all of the KartRocket payment methods you wish to use. The next step is to map your KartRocket Shipping services to Postal Services in Linnworks, so orders don’t need to have their Postal Service set manually. Initially, all are mapped to Default. 3)	Locate the KartRocket entry, and click the Shipping Mapping button (as above). 5)	To add a new entry for one of your KartRocket shipping services, click on Create New. 1. For the Channel Service Name, enter the name of the Shipping Service in KartRocket. 2. In Channel Service Tag, enter the Tag value used for the service in KartRocket. 3. In the Linnworks Postal Service drop-down, select the name of the Linnworks Postal Service that should be used for orders imported from KartRocket with the Shipping Service to dispatch them correctly. 5. Repeat this for all the other KartRocket Shipping methods you are using. Before integration of this channel in Linnworks, should the seller have a KartRocket account? Yes, a seller account is required in order to integrate this channel into Linnworks. Which type of orders are downloaded into Linnworks? Only orders with status of COD Confirmed & ePayment Received are downloaded from channel to Linnworks. Do I need to define the shipping service for the orders in Linnworks before processing it? Yes. Shipping service name & Vendor name need to defined before you mark the order as processed . How often does an integrated channel send Shipping/Status updates to KartRocket? Synchronisation occurs once per hour. Is there a limitation on which Linnworks stock locations are available for this channel integration? Stock can be synchronized to the channel from any location or combination of locations in the Linnworks inventory.